W.Hoffmann 162 Professional: quality made in Europe, for unlimited pleasure in playing. The W.Hoffmann 162 Professional grand piano stands out for its smooth and precise action. Each of its components is crafted with heart and soul to professional standards. This instrument is shaped by the Bechstein philosophy and manufactured in Hradec Kr?lov?, Czech Republic, by C. Bechstein Europe. The oversized soundboard in the W.Hoffmann 162 Professional grand piano is processed with great care to optimise sound diffusion. Its singing voice inspires you to play. You’ll appreciate such outstanding quality. 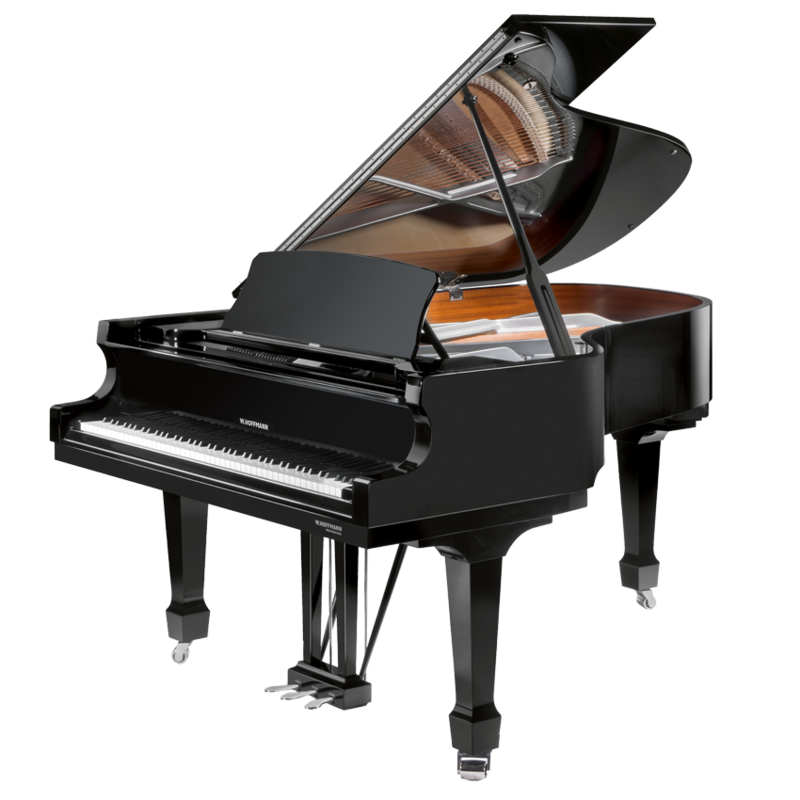 The W.Hoffmann 162 Professional grand can be equipped with the Bechstein Vario mute that enables you to play at any time without disturbing anyone. Compatible with tablets and notebooks, this digital device allows you to record yourself, or to accompany existing recordings. The Bechstein Vario mute offers a wealth of possibilities that enrich your piano-playing experience.